Top-dress with a generous mulch of well-rotted organic matter in spring along with a balanced organic fertiliser. 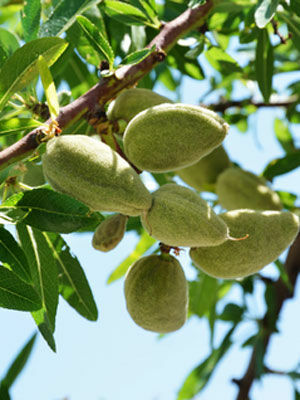 Almonds are best hand-pollinated when only one or two plants are grown. Healthy almond trees will bear for ten to fifteen years or more. Keeping almond trees dry under cover or under plastic sheeting can help prevent peach leaf curl and rotting fruits.